"If it were only the loss of one month or two months in the middle of summer, that would be no inconsiderable loss; but in addition to this, vacation means a slow recovery in the fall and a slackening up in church work in the spring, which leaves only four or five months for the most aggressive Christian work. So we must recognize and do our best to counteract not the vacation, but its incidental evils." To counteract summertime's incidental evils, Clark recast vacation as mission: hundreds of thousands of committed youths were being sent away from home, to parts unknown, de facto into the mission field. 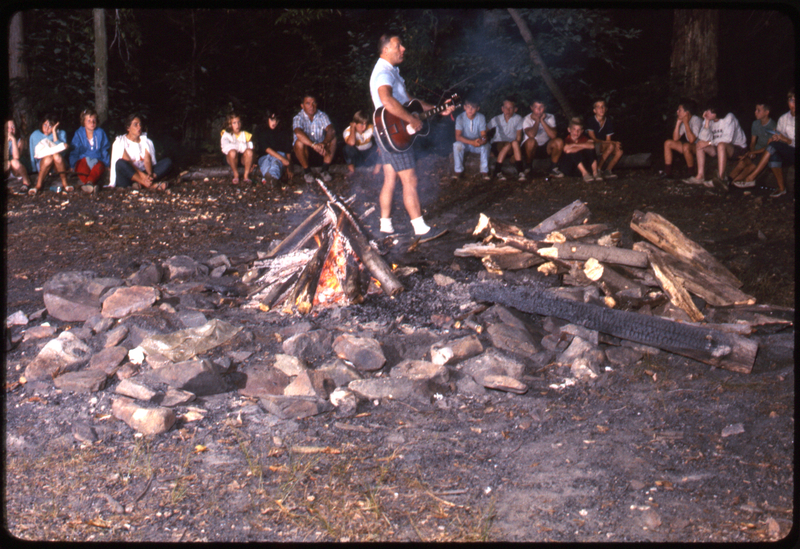 Campfire and guitar, Happy Valley Camp (Port Deposit, Md. ), 1966. From Slides B141. Camps from the beginning were therefore collaborative evangelical enterprises and harbors for ecumenical activity, operating across boundaries of presbytery, synod, and denomination. The UPCUSA Synod of the Chesapeake ran Happy Valley Camp near Port Deposit, Md. Mo-Ranch, on the Moran property in Texas' Hill Country, was operated by the PCUS Synod of Texas. The presbyteries of Genesee Valley and Geneva joined Congregationalists and Disciples of Christ to operate conference centers in western New York. 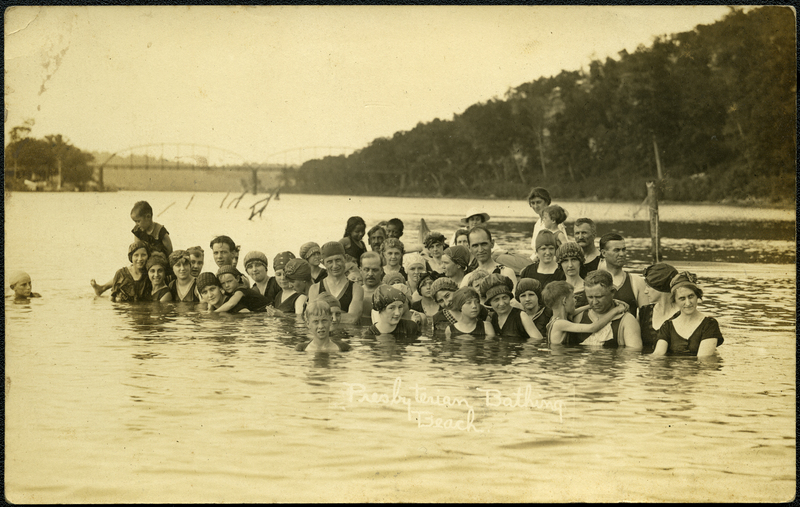 Presbyterian bathing beach, Hollister, Mo., 1914. From 11-0920, Blanche Ryan photographs. Among the camps documented by collections here at PHS, Presbyterian Hill was organized in 1909 by the First and Second Presbyterian Churches of Springfield, Mo., built on a bluff overlooking Branson. Beginning with three-week summer getaways for local Presbyterians, by the 1920s the site operated year-round, becoming a destination for groups within the temperance and evangelical movements, hosting the Women's Christian Temperance Union, the Chautauqua Association and the Freemasons. Life Together, Happy Valley Camp (Port Deposit, Md. ), 1964. From Slides B141. Arguably the most influential Presbyterian conference center is the Mountain Retreat Association at Montreat, N.C. In 1905 the PCUS Synod of North Carolina bought 4,000 acres surrounding a cove in North Carolina's Appalachian mountains. Over the next sixty years, the retreat expanded to include a church, a junior college, and the Historical Foundation of the Presbyterian and Reformed Churches. In 1965, the MRA desegregated, and Martin Luther King, Jr. addressed the Christian Action Conference there. The national church applied itself to the task of organizing camp activities at first through publishing camp-themed hymnals and devotional guides. Paul McFarlin's My Map and Compass (1944) offers junior-high campers solemn devotions to be read "before going to a particular spot by yourself for your meditation [...]." By mid-century, Presbyterian campers turn from devotion to service. 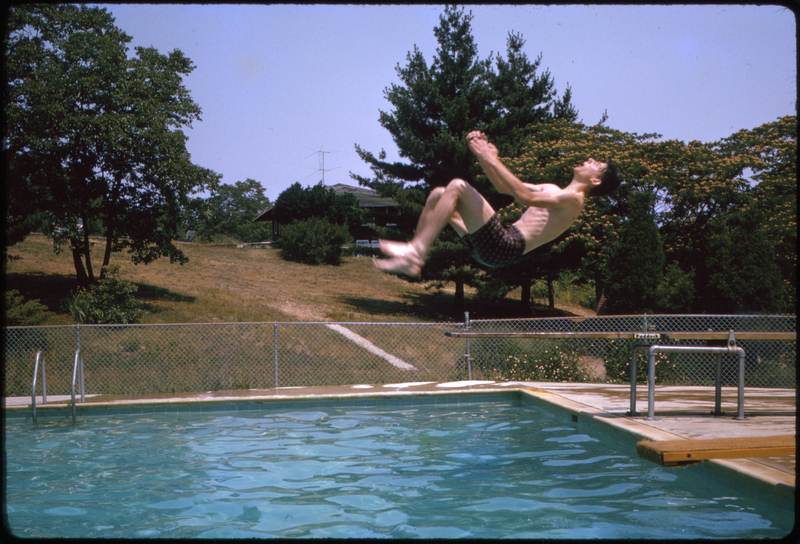 In 1959, the United Presbyterian Church in the U.S.A. established the Student Summer Service Program, which sponsored camps for junior high students, and organized youth conferences and service projects or "workcamps," enrolling 30,000 youths per year until the 1970s. In 1964 the parachurch Presbyterian Church Camp and Conference Association was organized to support camps and conference centers. Their directory at last count listed 158 Presbyterian-affiliated camps, scattered from Florida to Alaska. 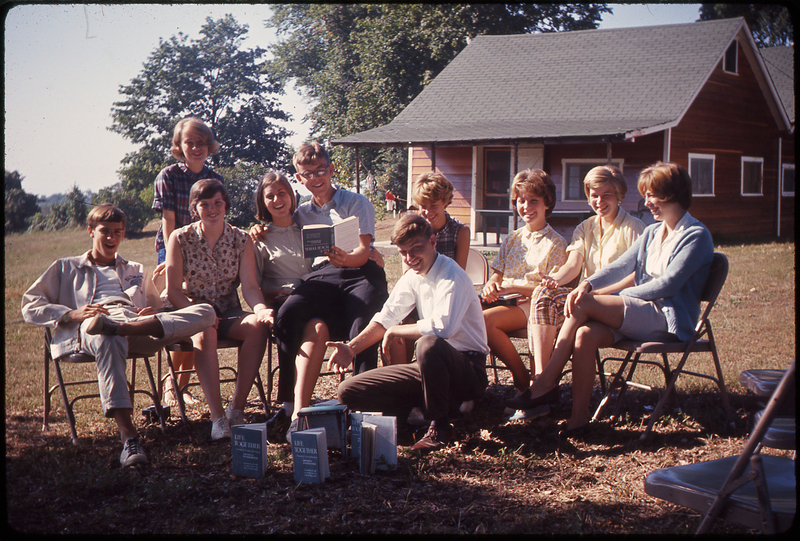 Did you go to a Presbyterian youth retreat in the recent, or the not-so-recent past? Tell us about it in the comments!